You may be the astute type who constantly inspects the garage to ensure every facet is up to specifications. A monthly testing of safety features and general lubrication may set your mind at ease. However, that may not defend your garage from architectural changes in your home’s foundation. Sometimes a shift in the foundation of your home may leave your garage appearing out of shape. If you’ve performed a clearance test and the technician has given your spring adjustment the green light, it may be time to search elsewhere for the source of your problem. Sometimes a garage door company may not have all the answers, but a technician can help you get there. If the foundation of your home has shifted, a qualified technician can inspect your garage and help you rule out the usual suspects. It doesn’t always have to be a slipped spring, or a garage door cable off drum fiasco that causes your door to be misaligned or seemingly heavy. How does my foundation affect things? 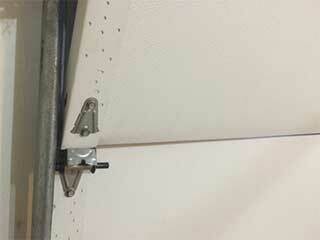 When the foundation of your home shifts, it can take your garage door track along with it causing costly repairs. The best move to make is to have a professional repair your foundation before attempting to have your garage repaired. If you’ve recently had some repairs done to your home’s foundation and you’re not sure how much damage it might have done to your garage, contact our experts to see what we can do for you.